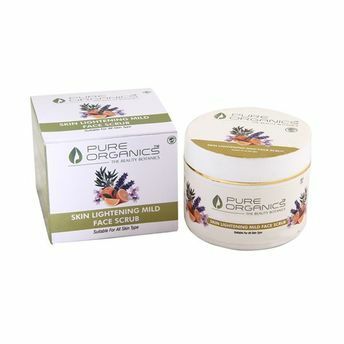 Pure Organics Mild Scrub is the perfect combination to clear and smoothen the texture. It removes tan and lightens the skin further. The refreshing gentle-abrasive scrub is rich in Vitamin C that sloughs away the dead skin and even diminishes the appearance of age spots. It leaves your skin feeling fresh, renewed and silky soft with natural glow.